Prior to a large event, we receive a hard-drive-punishing flow of emailed product press releases. My interest was piqued by a bullet resistant vest company that promised what I thought was a typographical error for their MSRP. I would definitely be paying a visit to the BulletSafe booth at SHOT Show 2014. At the Show, I met Tom Nardone, BulletSafe’s company president, in their small space at an off-the-main-floor Law Enforcement Vendors ballroom. Not shy, I had to ask right out of the gate, “Why are your ballistic vests so inexpensive?” At a suggested retail price of just $299.00, BulletSafe’s Level IIIA protection brought out the skeptic in me. Mr. Nardone began ticking off reasons, beginning with the product line. He said BulletSafe has a whopping six SKU’s. Five vest sizes and one plate carrier. That’s all. BulletSafe’s IIIA vests come in Small, Medium, Large, XL, and XXL. With only five sizes, Nardone said nearly everyone can find a fit and the company saves money by eliminating expensive special requests or custom work. A black nylon carrier comes standard with a BulletSafe vest. It can be worn under a uniform shirt. The carrier has front and rear rifle plate pockets. Want another color? Too bad. Black is your only option. Again, the savings are passed on to the customer. To keep overhead down, BulletSafe does not use major paid advertising. In fact, Nardone said their tiny, uncarpeted, shared SHOT Show booth was an example of the company’s frugal nature. When I asked where the vests were made, Nardone unapologetically said, “China.” He told me that if you are concerned about products being Made in the USA, you should look elsewhere for a vest. Offshore components help trim costs. 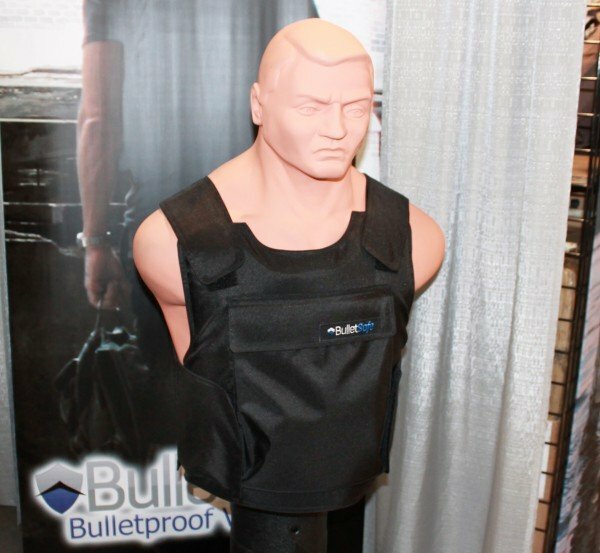 But if you have a limited budget and need a safe, well-made “bulletproof” vest, then consider BulletSafe. Nardone added that design, engineering, testing, and final assembly are all done in the United States. 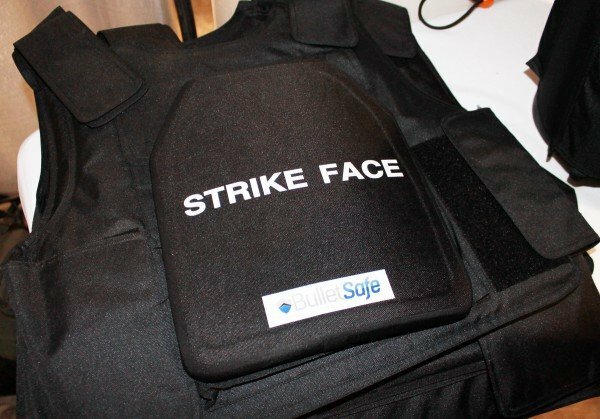 BulletSafe’s vests have front and rear ballistic panels of a high tensile strength polyethylene (in the Spectra family) that Nardone states passes the NIJ Standard 0101.04–Ballistic Resistance of Body Armor for Level IIIA. Nardone said the .06 standard testing should be completed this year. BulletSafe’s Level III stand-alone rifle plate can be added, which brings the total protection up to Level IV when worn in conjunction with their soft body armor. 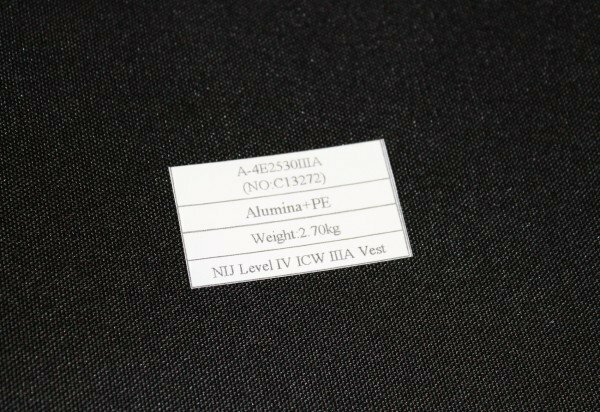 The BulletSafe plates are made of alumina and high tensile strength polyethylene. They measure 11 7/8” high, 10” wide, and 0.80” thick. The shape is a shooter’s cut, narrower at the upper arms. A plate weighs in at 5.65 lbs. MSRP for the BulletSafe plate is $169.00. That makes for soft body armor, a carrier, and front-facing rifle plate at just about $500.00. Very affordable, indeed. 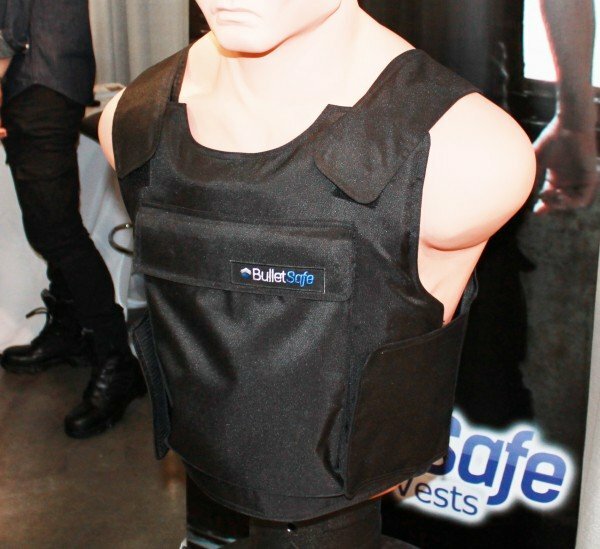 Nardone told me that one market in which BulletSafe’s vests could be of great use is in the private security sector. He said there are over a million security officers in this country, many of whom have to pay for their own bullet resistant vests, if they want one. He said BulletSafe’s low price point brings that protection within their financial reach. As a former mechanical engineer for Sikorsky Helicopters, Nardone was responsible for ballistic testing of fuel tanks, fuel lines, and hydraulic systems. His experience in keeping fuels and fluids inside their containers was key to making safe bullet resistant vests, which should also keep your fluids inside your container. For further information, BulletSafe.com has a comprehensive website with size charts, a guide to body armor laws in the U.S., video links, and much more.